Heather Davies packed a lot of information into into a quick presentation at our November meeting. I hope that you will watch and enjoy and listen for names, places and events that you recognize. As always, both are interesting to watch and bring their own slant to growing up in and around Royal Oak. Millie, who was 98 years old when she recorded her video died shortly after. We offer our sympathies to her family. Quayle and Marson are two names that most people who lived in or around Royal Oak will know.. In this video Dianne (Quayle) Moore, the daughter of Alf and Loraine (Marson) Quayle talks about her family and her time growing up in Royal Oak. Their home was the first house past the Thatch/Maltwoods. Trivia question? Did any of our speakers live closer to the center of Royal Oak, the corner of East and West Saanich Roads than Dianne? I can think of one family that lived closer and one that would probably be in a tie but they have not yet been speakers. 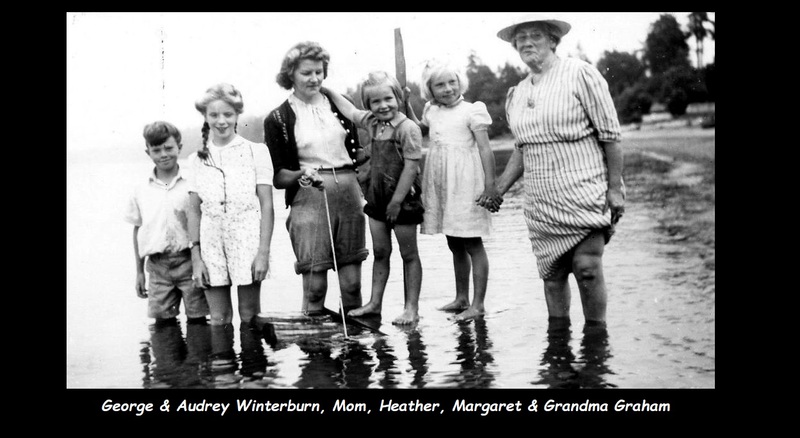 The link to Dianne's very interesting and entertaining talk is on the oral history page of our Blog, and the direct link to YouTube is below. We have had more than 48,500 visits to our Blog. Must be some interesting things there. Have you visited lately? I got a bit behind so you are getting three new oral history videos at once. These are the direct links to You Tube. You will also find the links on the Oral History page of this blog. 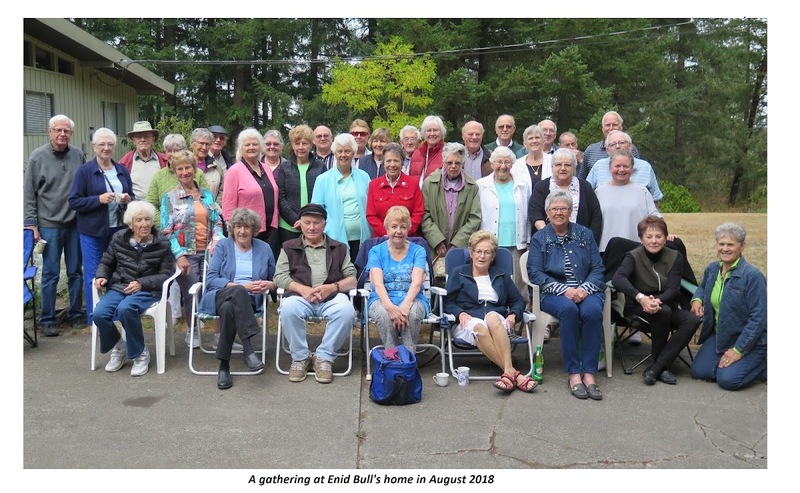 One of the highlights of David Squance's January talk was about the time the family owned Norfolk Lodge, a home that I am sure most of you have seen many times, but perhaps did not know it by that name. If you were not there to hear the original presentation I hope that you will have a look. Another great addition to our growing collection of oral history videos connected to the greater Royal Oak area. We all, I think, sometimes sit around with friends and family and talk about the good old days. I would sure like to be around 50 or a hundred years from now to watch these videos again and reflect on those good old days. Maybe you can identify some of the students. I certainly could not. We've been working on the railroad. If you were not at all of our meetings here are two of the videoed talks you might have missed. One by Audrey Coutts (MacDonald) and the other by Bob Pederson and both very interesting. I hope you will watch them and perhaps leave a comment. Here are the direct links to You Tube. As usual the links to these and all our videos are also on our blog site. Class photos from the "Old" Royal Oak 1 room School built in 1885 and the 2 room addition built in 1922. Class photos from the "1952" Royal Oak School. Class Photos from Mt. Newton High School. Class photos of other Saanich Schools. Claremont, Cordova Bay, Prospect Lake, North Saanich, Keating, Mt. View, Quadra, Strawberry Vale & Tillicum Schools & Sunday Schools. Please help us to name unidentified students in photos like these. Photos-Students & teachers from Royal Oak School. Photos-Royal Oak buildings, places and miscellanea. Photos-Royal Oak Service Stations and the Blacksmith shop. Royal Oak & other school annuals, Student index, Graduation Material & reunion and voters lists. Maps-Royal Oak and the Saanich Peninsula. News articles in print about Royal Oak. Publications, Books and Links & Royal Oak School History etc. etc. Those were the days....In writing from the kids who went to school around and at Royal Oak. General Meeting, Coming events and meeting minutes. All material on this site is the property of this site and may not be copied, shared or used. Watermark theme. Theme images by TayaCho. Powered by Blogger.